Born on January 2, 1920 in Russia, Isaac Asimov was an American writer specializing in the genre of science fiction. He is considered one of the three great masters of science fiction and remained a significant figure of science fiction for over five decades. Also a professor of biochemistry at Boston University, Isaac Asimov has over 500 published volumes in addition to 90,000 letters, postcards and other scientific books for laymen. He was the son of Judah Asimov and Anna Asimov who immigrated to the United States when Isaac was three. Growing up in Brooklyn, New York, Asimov’s childhood was spent reading passionately. He explored all the libraries within his reach and was a perfect description of the term bookworm. Asimov graduated from Columbia University in 1939 with a degree in chemistry and then also obtained a PhD from the same university in 1948. He later accepted the offer of lectureship at Boston University where he was made an associate professor of biochemistry in 1955. Asimov’s literary career started when his contributions to science fiction magazines started publishing in 1939. Night Fall, a short story Asimov wrote in 1941 proved to be his ladder to literary success. The story is based on a planet where night appears only once in every 2049 years. Till now it is considered by some to be the best science fiction short story ever to surface. His first book, Pebble in the Sky was published in 1950. His most famous set of novels is a trilogy namely Foundation, Foundation and Empire and Second Foundation (1951-1953). This space based trilogy narrates the tale of a futuristic galactic empire. I Robot (1950) which was also filmed in 2004 is another brilliant piece of work by Asimov which focuses on developing rules and ethics for artificially intelligent machines. Some other noted fictional works by Isaac Asimov include The Stars, like Dust (1951), The Currents of Space (1952), The Caves of Steel (1954), The Naked Sun (1957), Earth Is Room Enough (1957), Foundation’s Edge (1982), and The Robots of Dawn (1983). Asimov was also author to many non-fiction writings of which the first was The Chemicals of Life (1954). Some more of his written scientific efforts include Inside the Atom (1956), The World of Nitrogen (1958), Life and Energy (1962), The Human Brain (1964), The Neutrino (1966), Science, Numbers, and I (1968), Our World in Space (1974), and Views of the Universe (1981). Furthermore, in addition to writing two autobiographies, Asimov also published the quarterly Isaac Asimov’s Science Fiction Magazine which was founded by Davis Magazines. Famous for stating the Three Laws of Robotics, Isaac Asimov’s contributions to scientific literature have been acknowledged by esteemed awards such as Hugo, Nebula and many honorary degrees. Asimov was married twice. His first wife whom he married in 1942, Gertrude Blugerman bore him two children. They separated in 1970 which led to a divorce in 1973. In the same year he tied the knot again with Janet Opal Jeppson, a writer and psychoanalyst. Jeppson wrote Norby Chronicles, a science fiction novel for young readers in collaboration with Isaac. 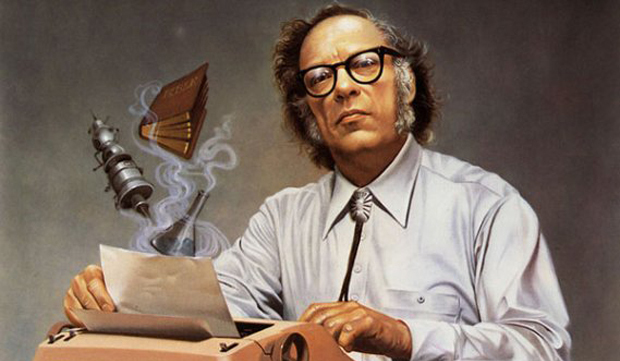 Asimov died on April 6, 1992 in New York due to a kidney failure. However, ten years after his death, his wife Janet revealed he had AIDS which he contracted accidentally during his bypass surgery.